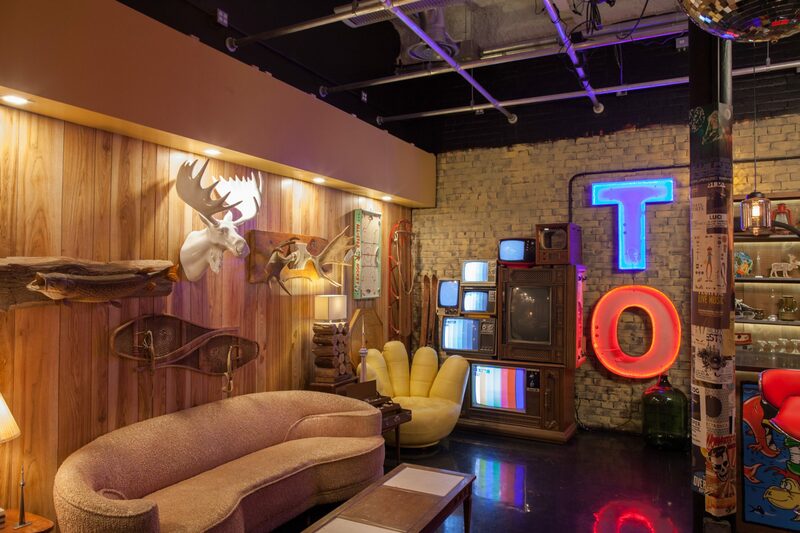 Aspiring viral video creators in Toronto may want to head down to George Brown College’s Centre for Arts, Design & Information Technology to do their next shoot, as Google announced that it’s opening YouTube Space Toronto at the location on Wednesday. 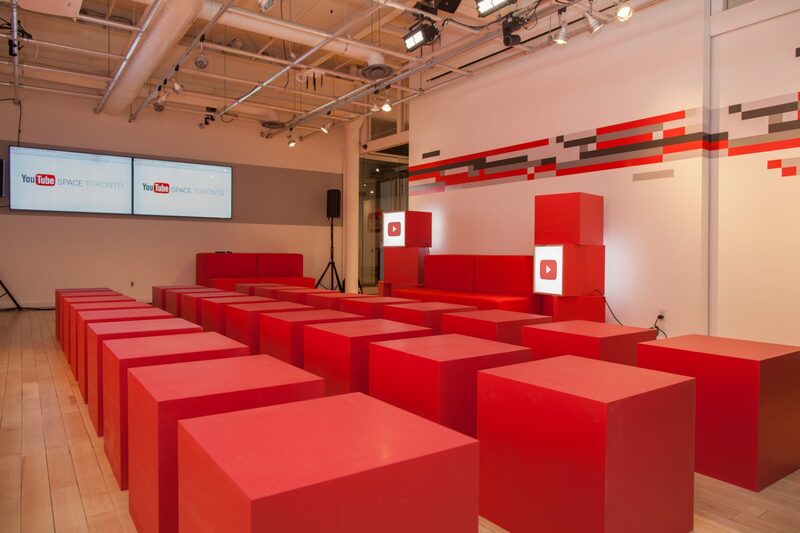 Toronto joins nine other cities as host to a Youtube Space: Paris, Mumbai, Berlin, Sao Paulo, New York, Tokyo, London, Rio, and Los Angeles. 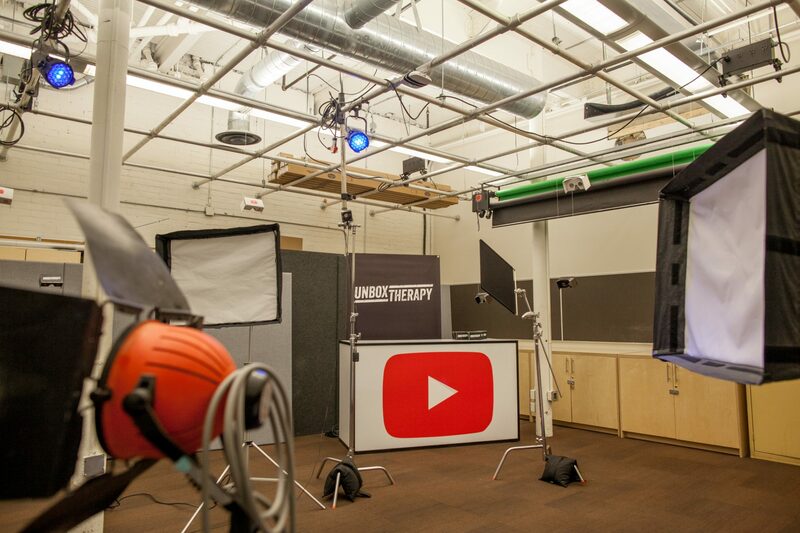 Google says the 3,500 square-foot space will offer free workshops and classroom-style training for those looking to go from YouTube hobbyist to professional. It also offers areas to collaborate, rotating sets to shoot video on, a sound stage, and even production equipment that can be borrowed. But if you want to use the space, you’ll need to accrue at least 10,000 followers on YouTube. That’s a feat that many Torontonians won’t have a problem with. YouTube creators attending the launch party included Kelsey MacDemaid and Becky Wright (The Sorry Girls), Kimberly Moffit of Ask Kimberly, and Raja Khanna, the CEO of television and digital at Blue Ant Media. YouTube also had some politicians at the launch, including the Minister of Canadian Heritage Melanie Joly and Toronto Mayor John Tory. 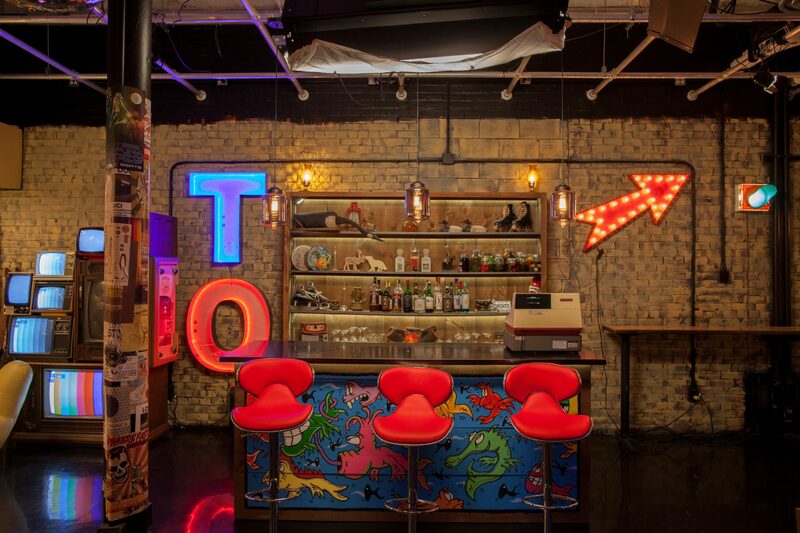 One of the video sets, a bar scene. Another set, a living room scene. A space to create VR videos.